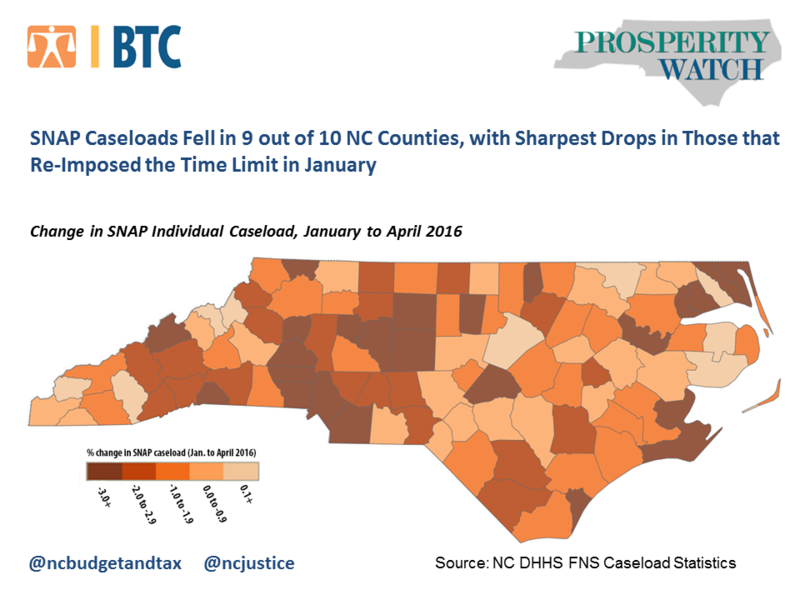 The latest issue of Prosperity Watch takes a look at the trend in SNAP caseloads between January and April of this year. We selected this period because it covers the time in which 23 of the state’s 100 counties began cutting people off SNAP after re-imposing the three-month time limit in January. We found that the number of North Carolinians on SNAP fell quickly during this period, especially in the counties that reinstated the three-month time limit for childless, non-disabled adults (see the map below). Jump over to Prosperity Watch for the full details and another graphic.